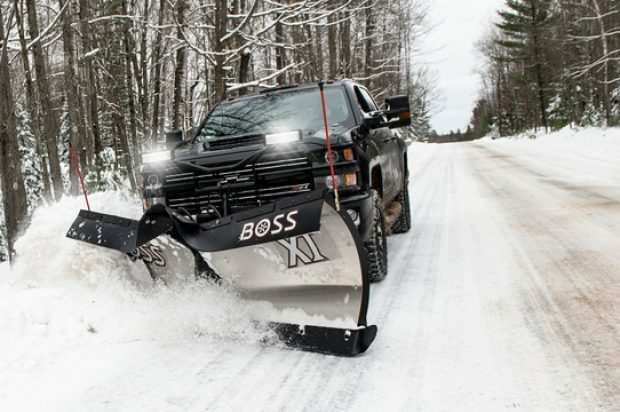 BOSS Snowplow recently expanded its snow and ice removal arsenal to help professionals prepare for the upcoming winter storm season. Now available, the durable, rubber-edged SK-R collection offers quieter plowing operation and protection to sensitive surfaces. Backdrag edges are now available for even more plow models, including 8’ and 10’ box plows and XT V-plows. Also now available in V-plow accessories are urethane cutting edges to help snowplow owners increase efficiency and profitability in every situation. Available for the first time in stainless steel, plow professionals now have another powerful option in the XT plow collection with optional plow wings, also in stainless steel. 1 ½” x 8” reversible rubber cutting edge offers quieter plowing operation and protection to sensitive surfaces. 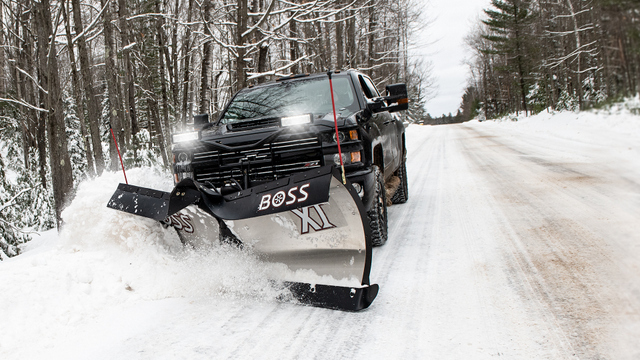 BOSS now offers urethane cutting edges for all XT V-plows. 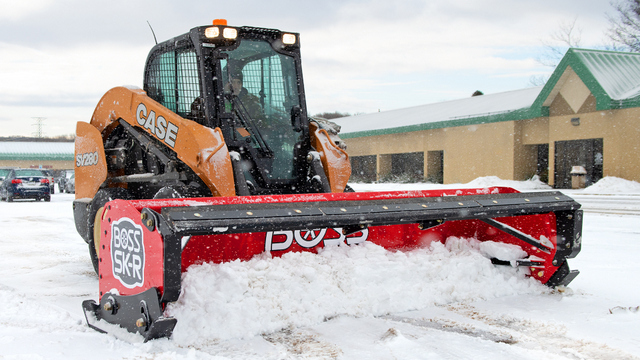 The V-plow cutting edges feature built-in curb guards and a patented snow catcher. The edges offer optimum scraping performance for sensitive plowing surfaces. Available for the 7’6”, 8’2” and 9’2” XT V-plows. In addition to the SK box plows, a backdrag edge kit is also newly available as an accessory for the 7’6”, 8’2” and 9’2” V-plow models. For some, the best way to fight snow and ice is with stainless steel. BOSS introduces the BOSS XT, now available in 8’2” and 9’2” stainless steel models. With the same proven features as the poly and steel versions, the stainless-steel XT will be a customer favorite. Its flared blade wings and enhanced curl design allow users to throw snow higher and farther over existing banks than conventional plows. Contractors can now increase the blade width on a stainless-steel plow by a full 22” at a 30-degree angle with convenient stainless-steel plow wings to cut plowing time. The wings can attach and detach within seconds and are available now for stainless steel V-plows. BOSS also brings the power of stainless steel ice control to even more vehicles with the addition of the FORGE 1.0 and 1.5. The FORGE stainless steel hopper is constructed with a combination of bolting, riveting and welding for optimal durability and serviceability throughout the spreader’s lifetime — allowing for maintenance and replacement of individual parts rather than the entire unit. Both the hopper and the drive train are constructed with stainless steel, enhancing the sturdiness and durability of FORGE in adverse winter conditions. These additions join the recently introduced DRAG PRO and EXACT PATH for the 2018 product collection. For more info on Boss, click this link like a boss!